Accusations came big and small against US Secretary of Commerce Wilbur Ross in a recent Forbes report. The biggest, most serious accusation to come out of the report is that Ross swindled former associates out of more than $120 million, placing him "among the biggest grifters in American history." But as if to show that this type of behavior tends to recur across many different contexts, he's also accused of swiping Sweet'n Low packets from a restaurant near his old firm, WL Ross, to avoid having to pay for the sweetener himself. With a $700 million net worth, it seems clear that Ross can likely afford his own Sweet 'n' Low by any reasonable standard. However, the report also quotes a Ross spokesman as saying the Sweet'n Low anecdote is "petty nonsense," and even going so far as to say that it couldn't be true since he doesn't put sweetener in his coffee. The report also quotes two former associates accusing Ross of having once pledged a donation of a million dollars to some unnamed charity, a pledge which he allegedly never fulfilled. He's also accused of failing to pay domestic staff what they were owed. Twenty one of Ross' former colleagues were interviewed for the report, which was also based on several lawsuits he's been involved in. One of those lawsuits, filed by three former executives at WL Ross, alleges that he charged executives at the company improper fees to the tune of at least $48 million. This particular swindle is described in layman's terms as being "like a restaurant owner telling his employees that they can eat for free – while taking the meal money out of their paychecks." "The anonymously sourced Forbes story is based on false rumors, innuendo, and unverifiable claims. The fact remains that no regulator has made any of these accusations against the Secretary … This rehash of old stories is clearly the result of a personal vendetta. The baseless claims made in this story were well publicized long ago and are not news." For now, Wilbur Ross is probably the only person in history whose job may be in danger if he's photographed using Sweet'n Low, any time soon. 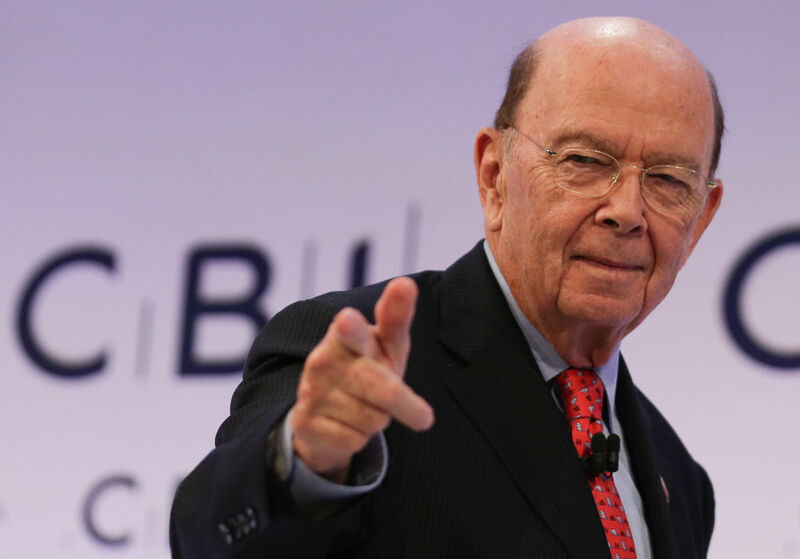 Fellow Trump billionaire and early supporter of the Trump campaign Wilbur Ross has been named Commerce Secretary for the upcoming Trump administration. The most recent list of the world's billionaires reveals that 121 former billionaires in 2017 are no longer billionaires today. There are a variety of reasons these former billionaires lost a chunk of their fortunes.